Armoor India Healing Festival 2016! 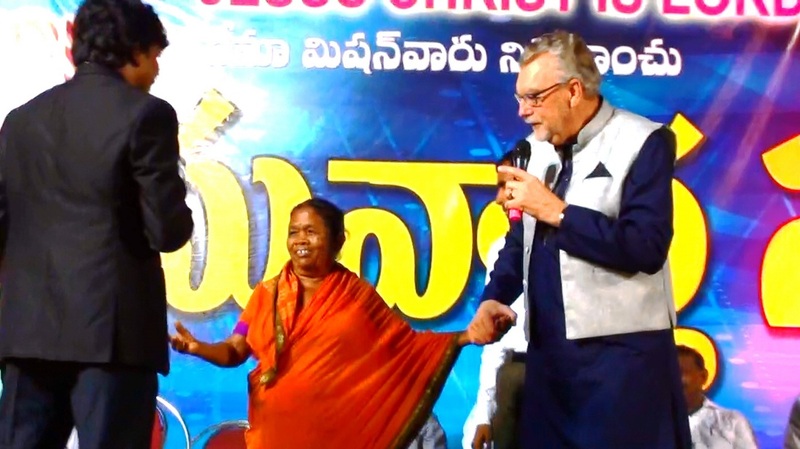 At Heart of the Father Ministries, we have returned from India with rejoicing! After four nights of meetings on Armoor, we witnessed 2100 people coming to Jesus to repent and be forgiven. Many sick people were healed, with miracles happening each night. A lame man turned in his stick because he didn't need it anymore. Another man was taken from ICU and brought 120 miles to the meeting. His doctors said he might die. Through the healing power in the name of Jesus, he lived and was totally healed in his heart. These are times of the advance of the Kingdom of Heaven all over the earth. At HOTFM, we are putting ourselves in obedience to Jesus' words in Acts 1:8. On January 29, we ministered to our Jerusalem (Rush City) with Friday Night Fire. I just spent the weekend ministering in Judea (Virginia, MN). Next week I will minister in Samaria (the rest of the USA) in twp towns in ND. Last week we were at the ends of the earth (Armoor, India). This your invitation to join us in prayer and in financial support. Please visit our home page where you can do all this online, Blessings on you!